Published Bestsellers: Dane Mills Bosley: An Overview by Congleton & Biddulph Chronicle newspaper. Dane Mills Bosley: An Overview by Congleton & Biddulph Chronicle newspaper. 'Dane Mills Bosley' dates back to the mid-eighteenth century when the machinery was driven by water wheels, powered by water from the River Dane. Over the years, the Mills have been engaged in many different business activities including, Metallurgical, Textiles, Corn Milling & Organic Fibre Production. 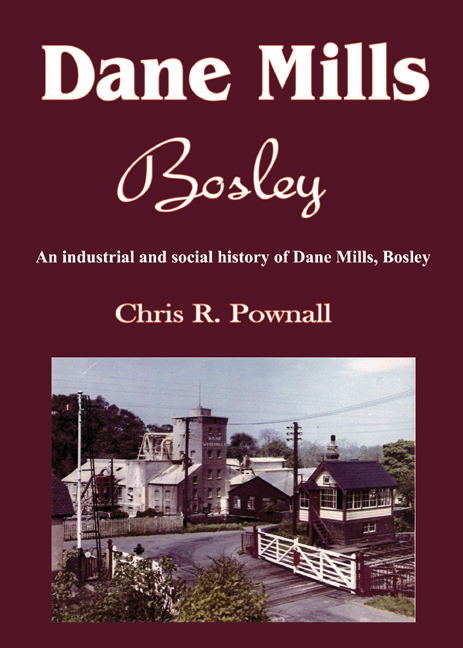 This book provides detailed information about the people and the industrial processes in place, at Dane Mills Bosley, during the 1960s, in a small village in rural Cheshire.